Planning a wedding? Here are a few new trends that are said to be trending this year! 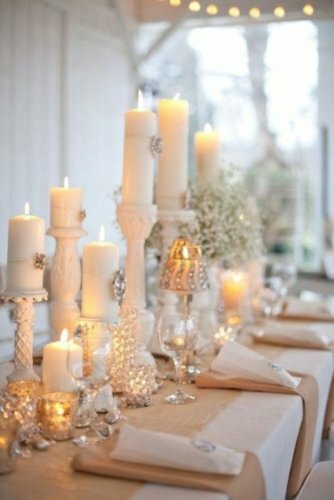 Brides are loving the different sized brass candle sticks. They make a beautiful touch! And they match wonderfully with many color schemes! 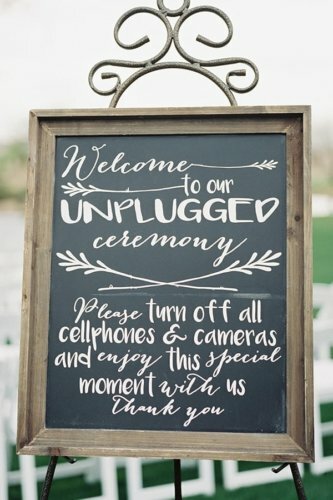 Couples are using chalkboards to relay the message- no photos during the ceremony! Enjoying the moment is what its all about any way right? Plus.. You pay the photographer big money to catch those special first kiss moment! 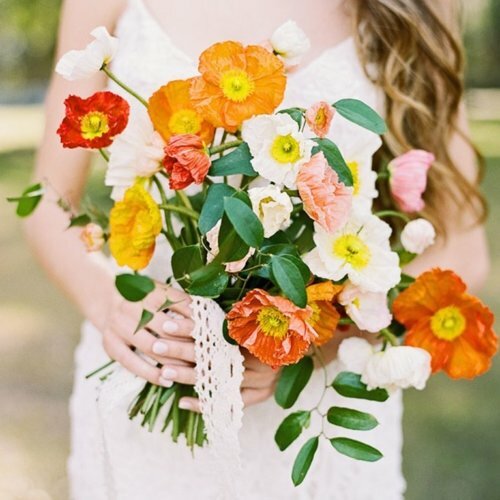 Coral, Burnt orange, Dark orange… you name it! 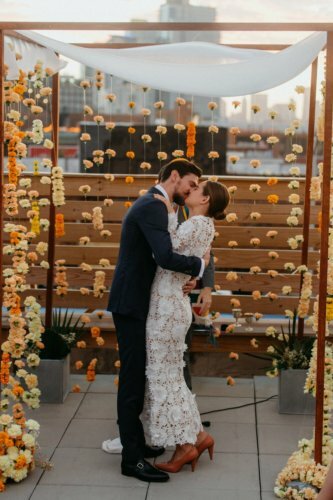 This color is taking over the wedding world this season! It is absolutely GORGEOUS! It could be a beautiful touch with flowers, or even your linen colors! The traditional, elegant dinner party wedding is back in fashion! 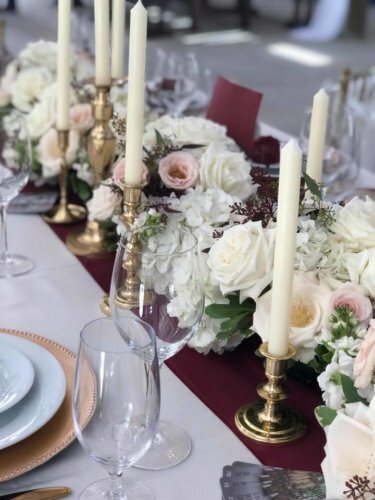 Silver candlesticks, monogrammed linen napkins, lace overlays, and crystal stemware all have a place in this beautiful and timeless wedding trend. How to Choose the Best Tent for your Event?